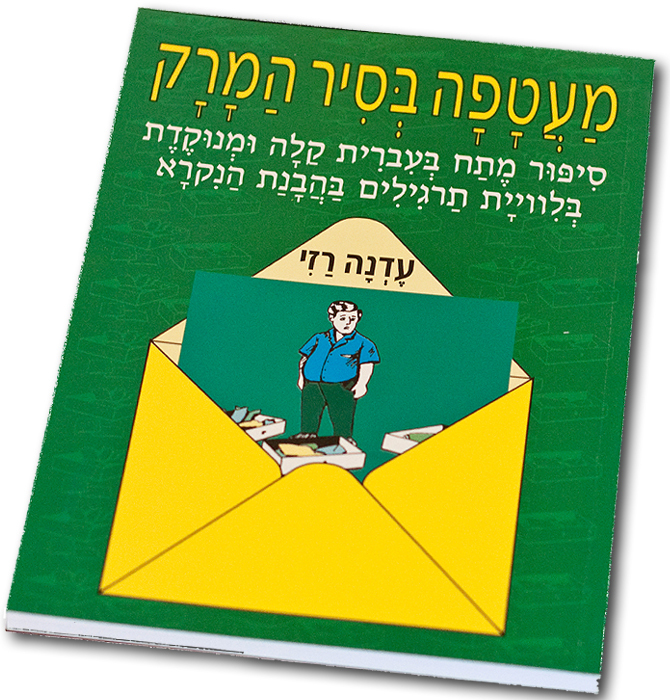 Easy Hebrew Reading Suspense Novel with English & Russian glossary for each Chapter. Also includes an appendix of reading comprehension exercises. Maatafa B'Sir HaMarak is the first experiment of its kind for an easy Hebrew reading suspense novel. This version of the workbook does NOT include Hebrew punctuation marks. The story takes place in Tel Aviv and follows three families living in one building. The story fulfills the criteria for topic and vocabulary of the Adult Learning program of the Education & Culture Ministry of Israel. Each chapter includes a glossary of phrases which appear in bold with a number in the text, whose translation appears at the end of the chapter in both English and Russian. Additionally, each chapter also has accompanying reading comprehension exercises which are gathered at the back of the book. The chapters progress in language difficulty from the easy to hard. The book can also be read as part of a regular classroom curriculum. The author hopes reading Maatafa B'Sir HaMarak will stir up the reader's taste for Hebrew literature.